The monasteries and painted churches of Moldavia stand today as a testament to the rich cultural and spiritual heritage of the Romanian people. As the Romanians living in the historical provinces of Wallachia, Moldavia, and Transylvania, which today form modern Romania, struggled to maintain their autonomy against Ottoman expansion, their relative freedom allowed them to express themselves both artistically and culturally. Among their most remarkable creations are the monasteries and painted churches of Moldavia, in northeastern Romania, the subjects of this book. These monuments, unique in the world, reflect a cultural legacy inherited from Byzantium and the Roman Empire. After the fall of Byzantium and the expansion of Ottoman rule throughout the Balkan Peninsula, the Romanian principalities became the most important depository of the Byzantine heritage. It was here that this tradition was preserved, having been passed on to the Romanians of the Middle Ages by their ancestors. From here this heritage continued to spread throughout Europe and influence European society and culture, creating the historical phenomenon that the great Romanian historian Nicolae Iorga would refer to as "Byzantium after Byzantium." 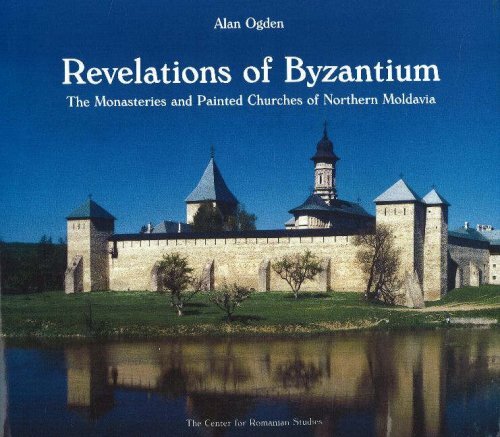 The monasteries and painted churches of Northern Moldavia stand today as true revelations of Byzantium.